A delegation of the Eight-Japan Engineering Consultants Inc. (EJECT) had a working session with authorities of the Mekong Delta city of Can Tho on June 13 to look at possibilities to join local infrastructure projects. Vice Chairwoman of Can Tho People’s Committee Vo Thi Hong Anh said the city needs consultation from Japan in implementing several urgent infrastructure projects funded by the World Bank. 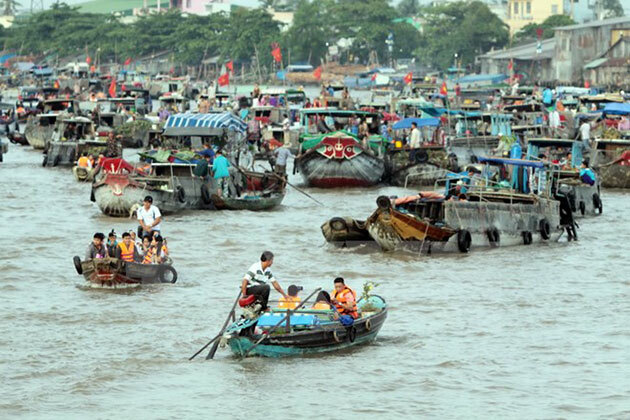 The projects include building dykes along Can Tho river and two bridges. EJECT has more than 50 years of experience in providing consultation on infrastructure development, with a strength in urban planning and cityscape. According to the company’s representatives, EJECT has participated in a planning contest for Han River in the central city of Da Nang. The company is carrying out a project on garbage collection and sorting in Ho Chi Minh City./.